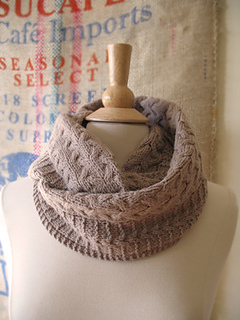 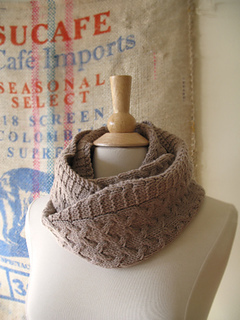 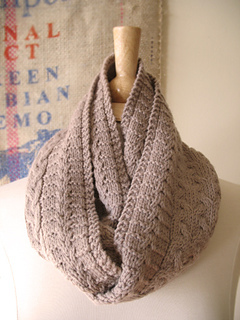 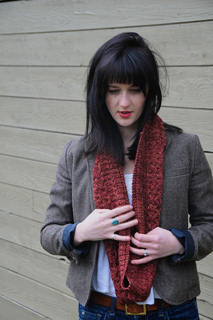 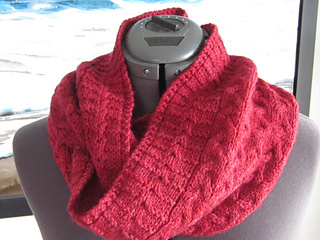 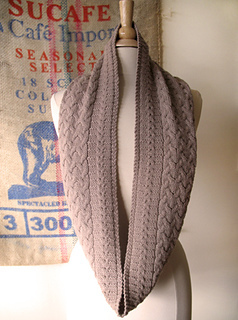 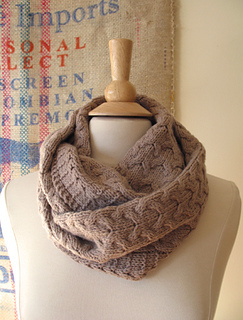 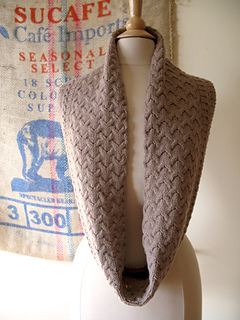 This cabled cowl knit in worsted weight wool can be worn in a single loop or doubled up for extra warmth. 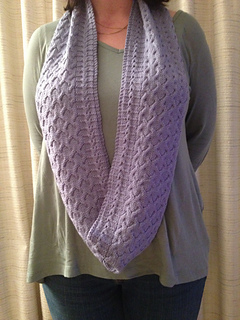 It is worked flat and seamed after blocking. 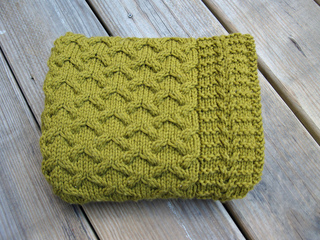 It’s available individually and as part of a set called Morning at Squam Lake (at a 25 percent discount). 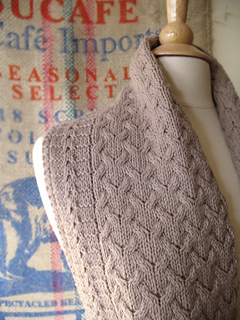 Stitch patterns are provided in charts and written form. 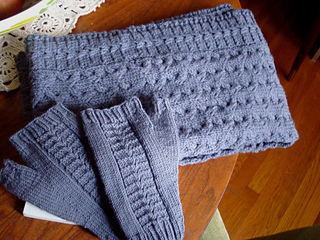 Deephaven—like its sister fingerless mitts pattern, Rockywold—is named after the Rockywold-Deephaven Camps on Squam Lake in Holderness, New Hampshire, where knitters and other crafters gather for the Squam Art Workshops in spring and fall.